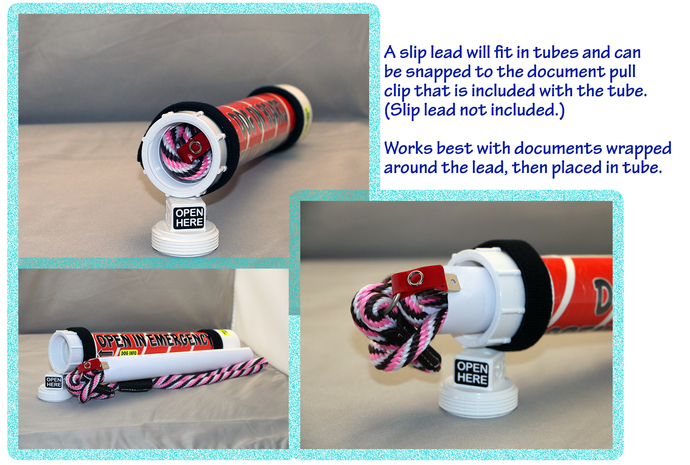 Constructed of 1.5 inch PVC pipe and fittings and labeled with exterior grade vinyl in patriotic red, white and blue, these tubes are tough and should not degrade with time or heat. All materials are new and washed, however they may contain slight imperfections and manufacturing markings commonly found on PVC pipe and fittings. Two velcro straps are provided to securely attach the tube to your crate or other object. 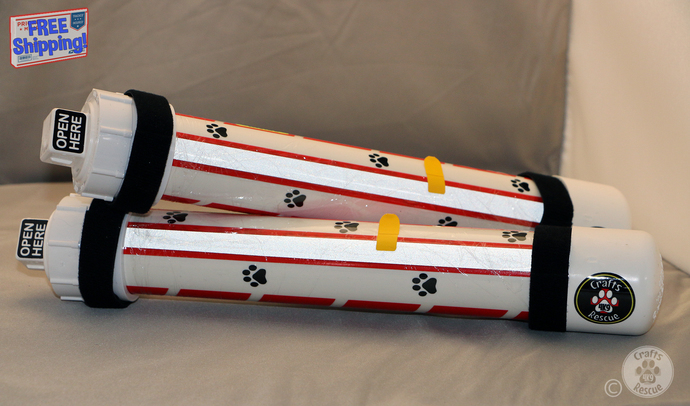 The tubes also have engineering grade reflective vinyl accents - silver reflective paw prints adjacent to the "Dogs On Board" lettering and a silver reflective strip on the back side which covers the manufacturing markings, etc. 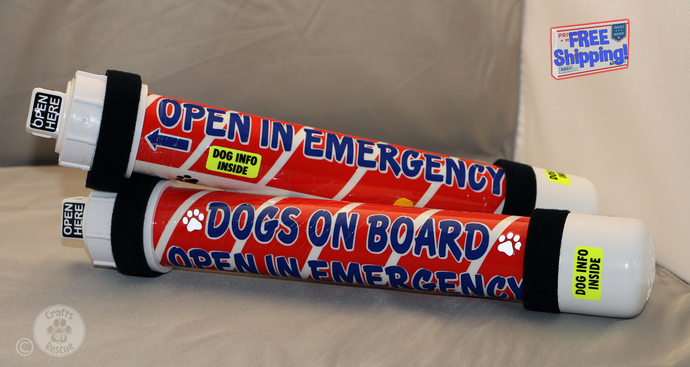 NOTE - this listing is for one (1) tube labeled "DOGS" on board, with dark blue lettering. SHIPPING is FREE. We ship all items through the USPS, usually within 2-5 business days. Orders are shipped USPS Priority Mail. Shipping to the lower 48 states, AK, and HI only. No shipping to APO/FPO's or P.O. Boxes, no International shipping, and no local pickup. We are not responsible for lost, damaged, or stolen packages; for these issues please contact the USPS directly.